Read on to discover the final five most exciting trends and why 2014 will be such an influential year for the ladies. You noted that women can sing and dance all the way to the bank. What do you mean by that? I recall growing up that there were predominately male bands and musicians on the radio, TV, etc. and very few women. Interesting enough today two women Madonna (age 55) and Lady Gaga (age 27) are the highest paid of all women and men in music and there is a pipeline of women following them such as Taylor Swift, Beyoncé, Rihanna, Katie Perry, Pink, etc. The point is that women have many options and can and have achieved in multiple areas. I am excited about shows (e.g. American idol) that help emerging artists gain visibility and technology (streaming, YouTube,) where artists can promote themselves. Why is it essential to have more women marketing gurus? I read some interesting statistics on how much spending power women have in the U.S. (85% of all purchases) and yet how many felt that they were being mis-marketed (91%) to because it was men in marketing, not women. A recent case and point I think the move of Mary Barra shows that GM knows that women buy cars. And we are seeing the trend of women having powerful positions at Advertising firms, as creative directors and key consumer influencers in a number of sectors. This is extremely important to reduce the amount of mis-marketing because women control over $20 Trillion in worldwide spending. Women are earning, spending, and influencing spending at a greater rate than ever before, accounting for $7 trillion in consumer and business spending in the U.S.
What do you mean by “Beyond the bling”? I think women understand and are concerned about money, investments, savings more than just buying bling. I think women understand the importance and value of financial independence. In the interviews conducted for Women Lead (Peter Lang, 2013) we found that many women had strong mothers as role models who emphasized financial independence and self-sufficiency. Women account for over 50 percent of all stock ownership in the U.S.
Women control more than 60 percent of all personal wealth in the U.S.
You state that women are Smart cookies. What do you mean by this and why is it important? In the U.S., the trend is that women are becoming more educated than men. For example, women earned 10 million more college degrees than men since 1982 (61.6 percent AA degrees, 56.7 percent bachelor degrees, 59.9 percent masters degrees, 51.6 percent doctor’s degrees). The pipeline of women with education is exceeding the pipeline of men and we will see that women will have more options than men as the demand for an educated workforce continues to increase. What other professional areas do you see where women will excel? On the finance side, I see a lot of opportunities for women as many finance recruiters confided that firms are seeking executive female leaders for finance roles because they are perceived as more trustworthy than men. I would suggest that women are not your average bean counters. Why is 2014 the breakout year for women? History accelerates future momentum. 2012 was a record year for women running for congress. In 2014 I think we will see the pattern sustain or accelerate. Also, 2012 and 2014 were record years for women in sports (Olympics). There are increased expectations of younger women and role models will help. We will see more women pursue CEO roles as we have role models from Marissa Meyer (younger age), to Ursula Brown, to Indra Nooyi (Pepsi), to Meg Whitman, to Marry Barra. Women are sharp if they can see a role model that is like them and make it more tangible. 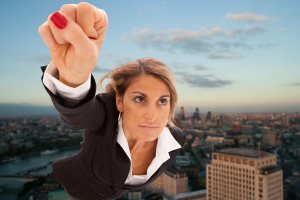 We have a number of key female leaders at technology firms (Marissa Meyer, Sheryl Sandberg, Meg Whitman, Ursula Brown) this excites me because we have women who can show women the way in technology, and I think this will help more women pursue technology fields as they are already fast adopters.